What: Biscuits and gravy you've heard of but how about briskets and gravy? 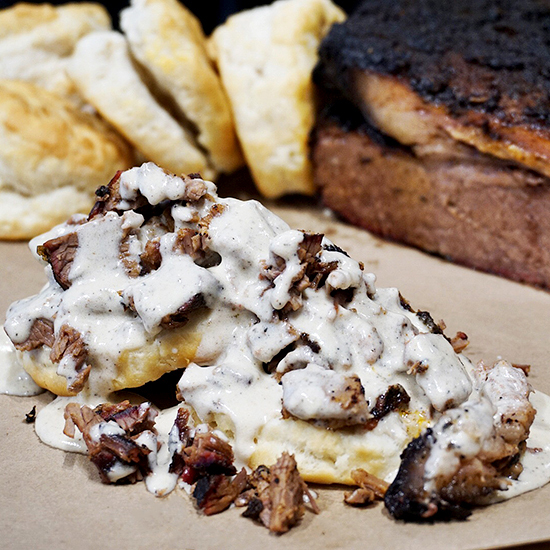 This beast of a brunch dish involves 14-hour slow-smoked brisket hanging out on a housemade biscuit with pork gravy—in case you need a little more meat with your meat. We like the way the punny kids think in Chicago. Bonus tip: Blackwood opens at 7:30am on weekdays, so on those days where you've slightly over-imbibed on a weeknight (we're not the only ones who do that, right?) they've got you covered.